I've found the new one I would like. I'd like to be a Sea Explorer. Read this. Sea Explorers have found a treasure trove of $20 million dollars worth of silver. Now, I am aware that I am the only one capitalizing the words Sea Explorer, but I truly believe that it deserves to be. I've always loved boats and water and things (though admittedly, it's mostly the canoe kind of boats, but still...), and for anyone who doesn't know me, well, let's talk about silver. I love silver rings. I wear three right now, and I'm on the hunt for a fourth. I have a special reason for wanting it, and when I find one, I'll let you all know. As if you care. I also have a pair of boots with silver tips on the toes. They're the second pair; I wore out the first. They're very pointy. I love them very much. I'd post a pic of my rings, but they're on two hands and I can't take a pic of both my hands. Unless I was a monkey. I'm not a monkey. Anyway. I love silver. And the thought that there is a job that would let me find old silver, whilst sailing the seven seas (or even just the ones that have silver beneath them) is very happy-making for me. They say you should always have a back up plan. Maybe this is my back up plan. 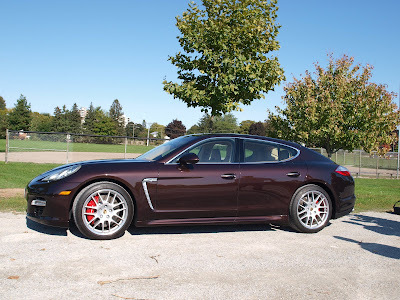 I had to give back the Panamera today, which made me wistful. I would like to go hunt for silver. I would not like to meet up with pirates. The NYT has a pirate story (you can find it while you're in there reading the Sea Explorer piece - don't be lazy) about a couple that were kidnapped by pirates and held for over a year. And they weren't Johnny Depp-type pirates. I mean, how could that be bad? Kidnapped by Johnny Depp? I'd run around that cabin smashing all the emergency radios myownself. Your lovely DSLR camera has a self-timer. Ooooo. And the Panamera has a silver insert thingy on the side. And shiny wheels. And glittery headlamps. These are a few of your favourite things. And we have seen, by the way, a pic of those boots. Which is why I, and I believe most males in the audience, will never meet up with you in person. Especially if there is even the slightest, teeniest possibility we may have pis... er... ticked you off. So you want to go silver diving? Go for it, quit the Star and Spectator, but not before you give me a glowing reccomendation as test driver/car journalist par excellance. I'd love to power shift that Porsche until it pukes a rod through the block....er, oops, I meant, "lovely German craftsmanship, shame about this particular car's defect." I was in that car over the weekend. Lovely. And, I'm not particularly fussed about cars. I'm not even going to comment on Roz's word. Not even. Uhm, I wear all those rings. I have for several years now. Nice sister. (2 on my right hand, one on the left).